We’re moving into track and field season, which means that the incidence of hamstring injuries is about to increase dramatically. The knee flexion and hip extension movements involved in all of the sprinting and jumping events put a lot of strain on the hamstrings. 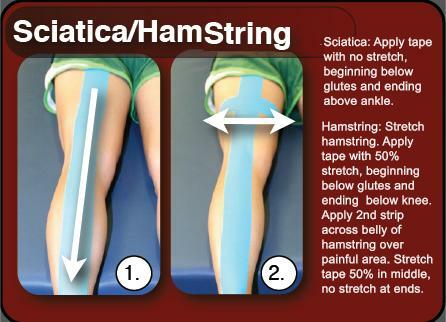 Once injured, a hamstring injury can hang on for months, causing pain and dysfunction that can significantly impact an athlete’s ability to train and compete. Kinesiology tape is a thin, stretchy therapeutic tape that is particularly effective for relieving muscular pain, spasms and inflammation. 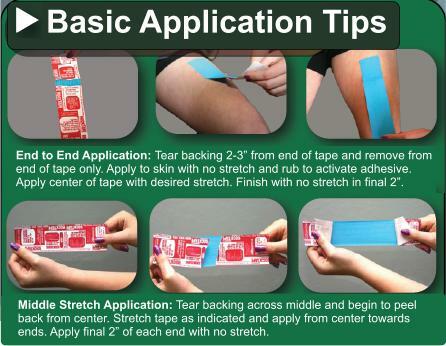 When used as a therapeutic sports tape and applied to an injury such as a strained hamstring, it can provide protection and support without limiting a safe range of motion. This allows many injured athletes to continue to train and compete as they recover from this type of injuries. Once applied, most kinesiology tape applications can be worn up to 5 days, providing therapeutic benefits 24/7 the entire time they’re worn.